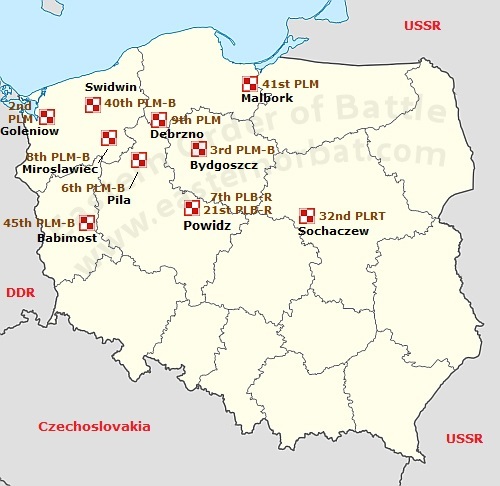 Poland was in a difficult economic situation in the late seventies and early eighties. The planned developments were cancelled. 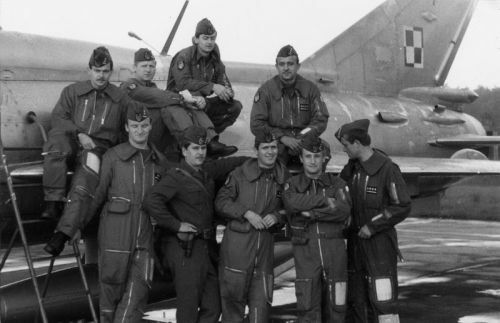 They refused to take several Su-20 Fitter-C fighter bombers. They didn't purchased the high-speed MiG-25RB Foxbat reconnaissance aircraft. Neither the fighter nor the fighter-bomber forces received new technique. 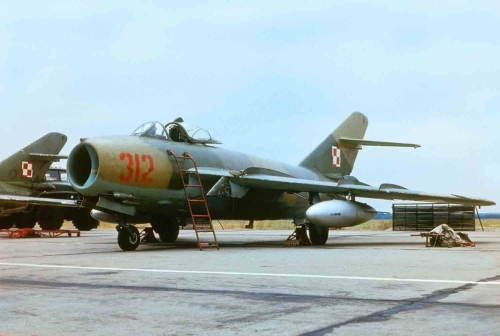 They ordered the Su-22M4K Fitter-K-fighter-bomber type in the early eighties. The troops had been prepared to receive the new type. 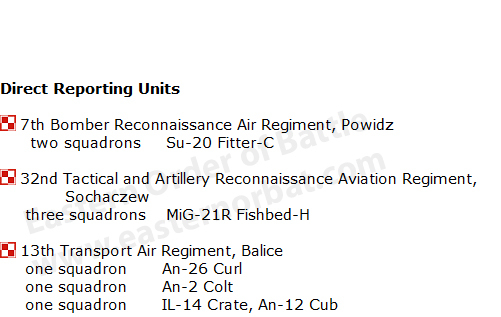 The two attack - reconnaissance aircraft division was reorganized. From 1982 the second and third aviation division became fighter-bomber formation. But they still used the old Lim-6bis, Lim-6bisR, Lim-5R, Lim-5M (MiG-17 Fresco) close air support aircraft along with the Su-7BM and Su-7BKL Fitter-A nuclear bombers. The reconnaissance and transport aviation technical remained unchanged. The reconnaissance regiments were placed directly under the corps headquarters in 1982. 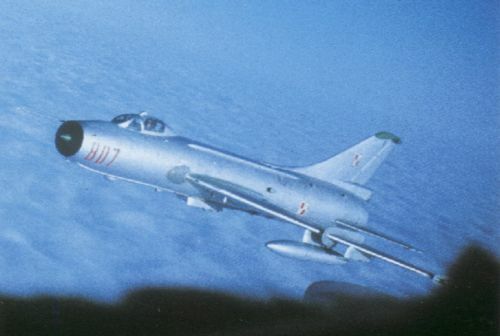 The reconnaissance containers carried by the MiG-21R Fishbed-H and the Su-20R Fitter-C aircrafts were still considered modern.